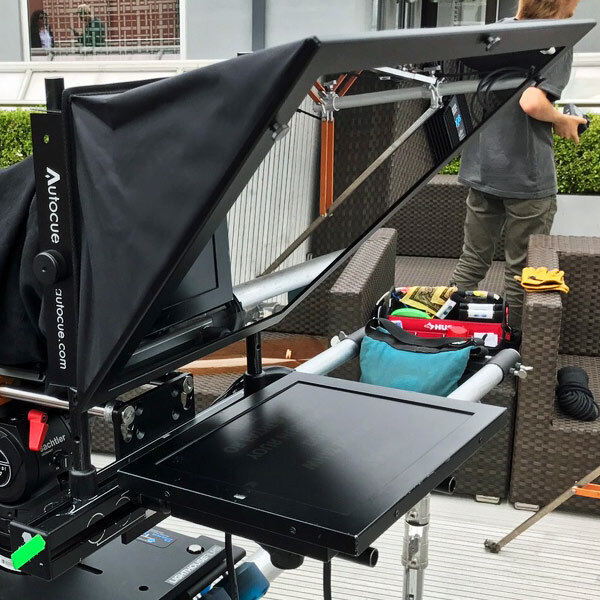 We have the following prompter gear available in Chicago delivered and operated by an experienced professional.Kindly click any tab below to get prices and detailed information on all rental options. Price: $945 – 10 Hours An operator accompanies the device.The Interrotron allows you to get the best shot, the first time! With its dual teleprompter units creating a “face-to-face” dynamic, it captures a more natural sounding performance. From the talent’s unit, the director/interviewer’s image is reflected onto the front of the lens. This provides them with direct engagement towards the center of the camera. On the other end, the director’s unit allows you to see the subject, so you can check for framing, correct coloring, or adjust lighting. Price: $250/Day; $750/3 Day Week Please call for more info on extended rental packages.The EyeDirect uses reflective surfacing to promote direct address towards the center of the camera. Much like a standard Interrotron, it projects the director/interviewer’s image onto the front of the lens. This encourages a more natural sounding conversation from your talent by diminishing the presence of a camera. The unit comes in a custom-fitted Pelican case for protection during shipping. 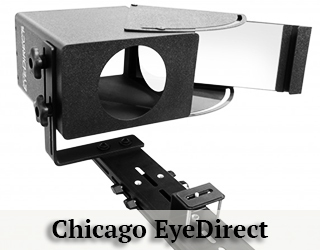 The EyeDirect weighs 30lbs and is permissible as an airline carry-on. 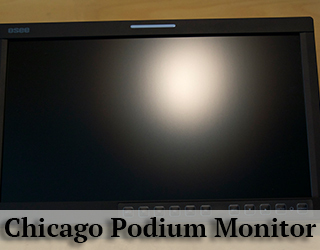 Price: $945/10 Hour DayThe Presidential Prompter is the device of choice for those addressing an audience from a podium. It consists of two glass panels on stands which are positioned on either side of a podium. While the speaker confidently reads the text reflected on the glass, the audience sees right through it. 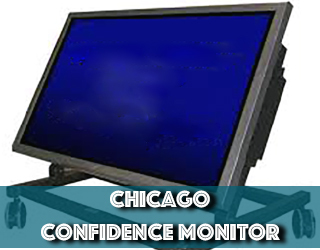 Their face remains visible to the audience.You can compare the features of our Confidence or Lectern Monitors and the Presidential Teleprompter to find the ideal device for your engagement. Presidential Prompter aka Speech Prompter Click HereA-ListTalent We Have Prompted For. Click Here. Downstage- placed on the floor in front of the speaker. Offstage- placed on stands off to the side of the stage. Back of the House- placed at the back of the room, behind the audience. These are small, “flat screen” HD monitors which can receive any signal from a teleprompter. 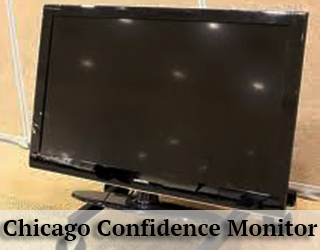 Check out the Confidence Monitor page for more information, as well as images of the units by clicking on the link in the top menu. Price: $95 without iPad, $120 with iPad (Stand not included)The iPad/Eye Prompters are the preferred rentals for smaller productions. 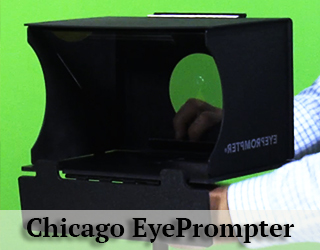 The EyePrompter is designed for its portability, durability, and quality. It supports a wide range of device sizes, from large smartphones to tablets, yet collapses into the size of a laptop. With its sleek and clean design, setup takes less than 2 minutes. Due to current iPad Teleprompter software, your talent will have to keep pace with the text speed of the device.Available for shipping only. 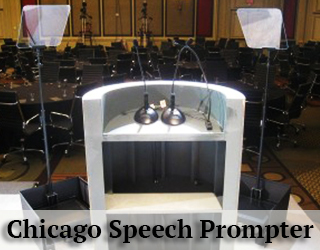 Price: $645/10 Hour Day The Podium Prompter is the discreet device for speaking engagements. It’s a thin teleprompter monitor placed on top of the podium out of the audience’s view. The speaker has the ability to scroll the text from a handheld mechanism, or the cabling can be dressed down the inside of the podium and out to the operator offstage. This allows for easy referral to the script while maintaining a consistent connection with your audience. These are custom-built units that are not available at all locations. 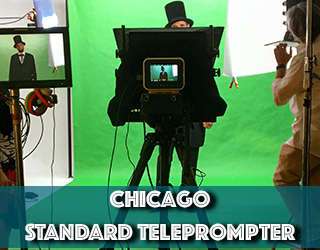 Pricing varies depending on client specifications.To design and book your SteadiCam Teleprompter today, please contact Bill Milling at 917-414-5489. Before the rise of Hollywood, Chicago was the production capital of the nation. Chicago has a strong industry presence and began attracting filmmakers back to the city in the early 80s. Over 1100 feature films have been shot in the city, generating over $2 billion in revenue. Iconic films such as Ferris Bueller’s Day Off, Sleepless in Seattle, When Harry Met Sally and High Fidelity have been shot in Chicago. The city is no stranger to television production either. Shows including the NBC Chicago franchise, Netflix’s Easy and Showtime’s Shameless are filmed in Chicago. The city introduced a tax credit bill in 2009 which has reeled in more filmmakers and content creators from across the nation. We are over the moon to be in Chicago! The people are welcoming and it is a pleasure to be among such industrious, dedicated folks. Mayor Rahm Emanuel and his appreciation for the arts has contributed to an atmosphere which prizes and attracts creatives. 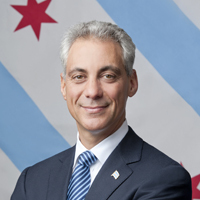 An interesting fun fact, when Rahm Emanuel was White House Chief of staff to President Barack Obama, both he and the President used teleprompters quite often. 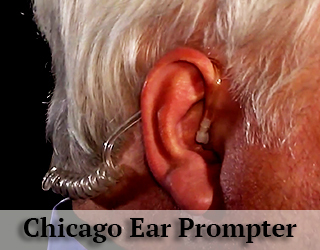 He still does when giving speeches as Chicago’s mayor.If you are thinking of using a prompter, give Bill Milling a call at 917-414-5489 or call us toll-free at 1-800-811-7805. 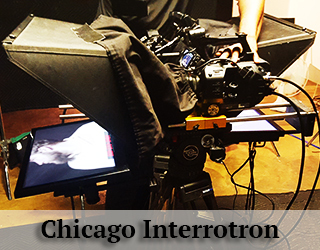 Our Teleprompter and Interrotron rentals come with a professional operator, laptop, software. Two of April’s absolute favorites! They often dictate whether she goes on the road or not! Actually, she found a friend whose generosity is legend. He loves dogs, has a big apartment and has time to walk them in a nearby park. April is an award-winning actress, spokesmodel, acting and speech coach. She will help your talent be confident and deliver a highly effective speech. April has an MFA in acting from Northwestern University and is a graduate of LAMDA (London Academy of Music and Dramatic Art). She worked in New York with the American Movie Company as “On Air Talent” and then moved to Chicago. Chicago! Love this city. People warned me about the high crime rate etc. Luckily I haven’t been touched by that. I must tell you that what impresses me thus far is the vitality, the warmth of the people I’ve encountered in my line of work, as it were.I am associated with the American Movie Company and Teleprompter Rental both housed in Manhattan. They branched out to cities across the country. I’ve worked under their auspices for a few years in New York. I just ended a relationship and needed a change. I jumped at the chance to literally put distance between my old life and the prospect of an exciting new chapter here.It’s turned out to be my kind of town. 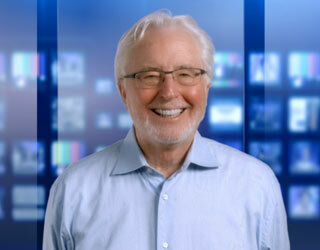 Last week I worked as a teleprompter operator on a very interesting event. It was a fund raiser for inner schools. Next week we are shooting at a jazz club. 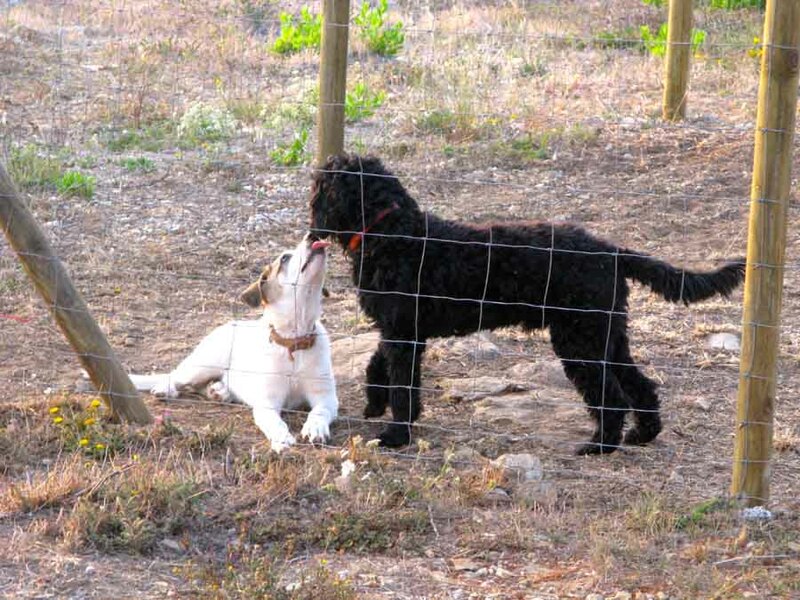 Can’t wait.An aside – in the breakup, I got to keep Lex and Luna – they make me happy. Tony Allen grew up in small-town Illinois. A lifelong Spiderman fan, he moved to Chicago to pursue his dream of becoming a comic book artist. In college, he discovered a passion for film in a Cinema Studies class. 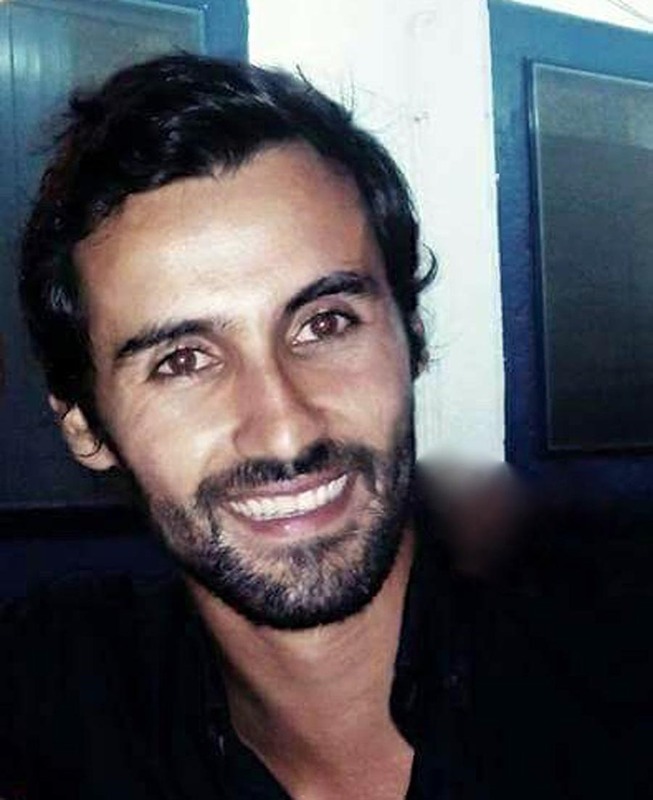 He has since moved on to produce several short films. He’s worked as a producer in our Chicago AMC office since 2014. 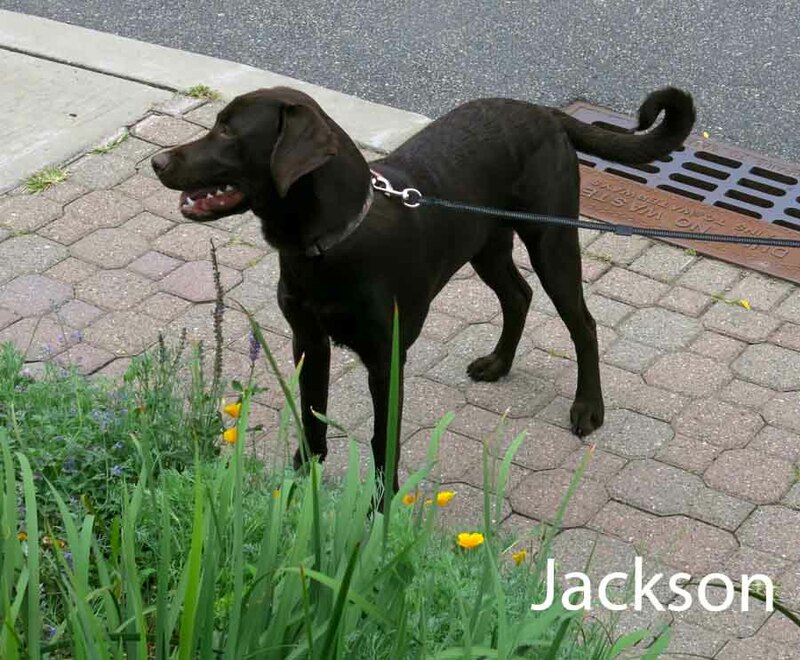 Jasper, (on the right) is a loyal assistant at our Chicago office. 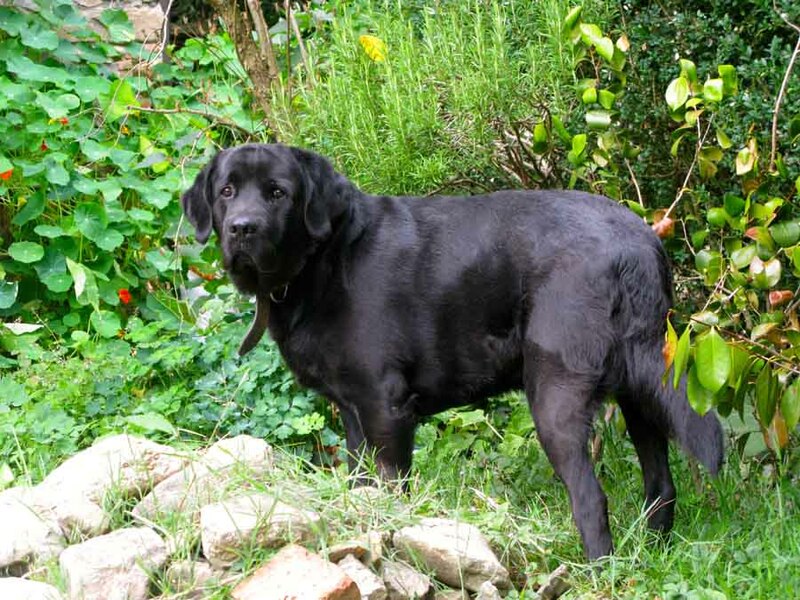 Jasper is a very energetic doggie! He loves to eat, explore his surroundings and play outdoors whenever he can. Olivia Sullivan graduated from New York University’s film program in 2012. While studying, she spent as much time as she possibly could on shoots across the city, often acting as a production assistant, as well as filming her own projects. One day, she found herself assisting American Movie Company on the set of a national television commercial as a PA. Impressed by her work, the company began working with her more often, and she eventually learned how to use a teleprompter. 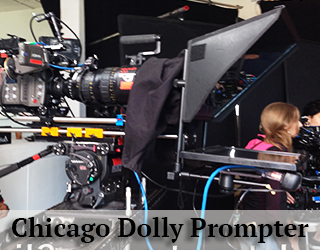 Olivia worked as a prompter operator in NYC before returning to her hometown, Chicago, in 2015. Since then, Olivia has been American Movie Company’s Chicago-based operator. Chicago’s McCormick Place is the largest convention center in the United States. The building has 2.67 million square feet of exhibition space, 250,000 square feet of meeting space, and a one of the largest ballrooms in the world at 100,000 square feet. McCormick Place hosts several major events every year, including the Chicago Auto Show, the International Home and Housewares show, and the National Restaurant Association Annual Show.